For further enquiries or discussion regarding our solution. Revenue generation and revenue assurance in the public sector is key to successful funding of government projects and public amenities. 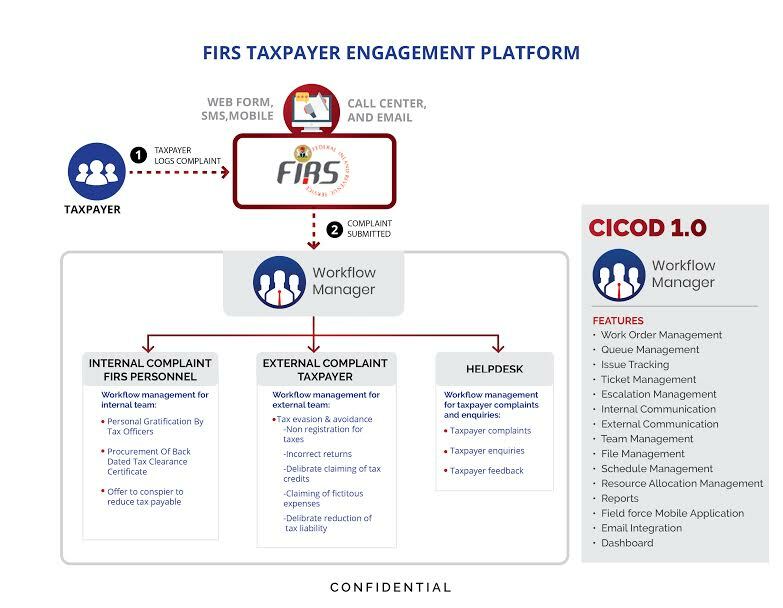 The CICOD Business Support Systems ensure that Government agencies are able to maximize their potential by improving productivity, minimising revenue leakages through effective revenue collections, and maximising operator compliance through effective compliance monitoring and management of infractions. Most public sector organizations either operate manually or have just ERP (Enterprise Resource Planning) systems, however they require full business support systems from Customer management through to Complaints management and Billing for full optimization of their activities. Government regulatory agencies are charged with the responsibility of issuing regulations and policies that promote growth in their sectors, ensure consumer protection and maintain standard practice. Inability to adequately monitor the activities of operators/practitioners in their respective industries. Inability to effectively manage infractions thereby short changing the consumers in the industries they regulate. Lack of transparency on revenue generation from dues, fees and penalties paid by regulated organisations. These challenges, caused by lack of technology to support their activities, impacts on the growth and development of their respective industries as well as denies government to revenue expected from them. Monitor compliance of regulated bodies. Provide visibility on the revenue generated from payments and issued penalty fees, real-time. These solutions will enable public regulatory organizations measure the collective compliance performance of the organisations within the industry they regulate using the Crown Interactive applications. 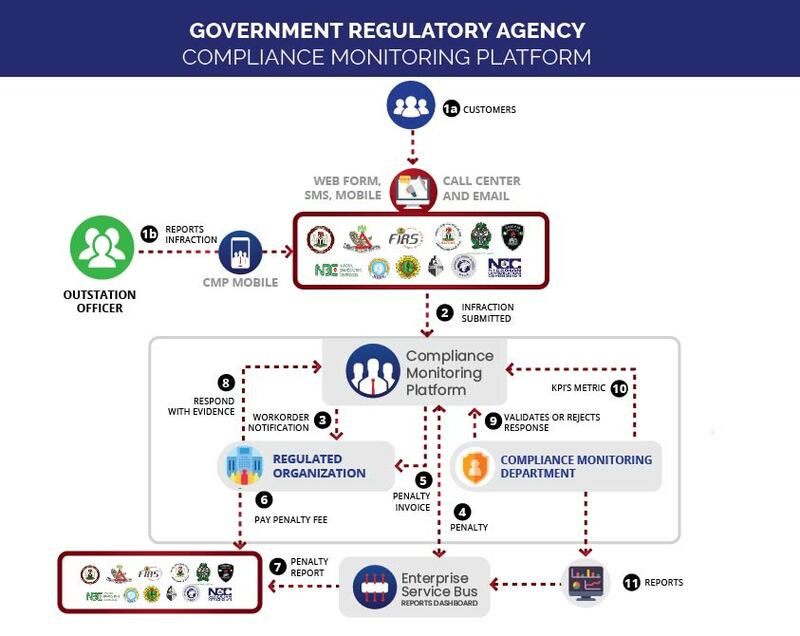 Government regulatory agencies are public industry-specific regulatory organizations that are mandated to regulate and monitor the activities of their respective industries such as the Central Bank of Nigeria for the Banking industry, Nigerian Communication Company for the Telecommunication industry, National Civil Aviation Authority for the Aviation industry and so on. These organizations are charged with the responsibility of issuing regulations and policies that shall promote growth in this sector, ensure consumer protection and maintain standard practice. To adequately cover their operations, public regulatory agencies require a full business support system which spans from customer management to problem handling and billing as well as consumer protection. These are not addressed by their systems currently in use. They are therefore incapable of efficiently handling customer issues as they arise. 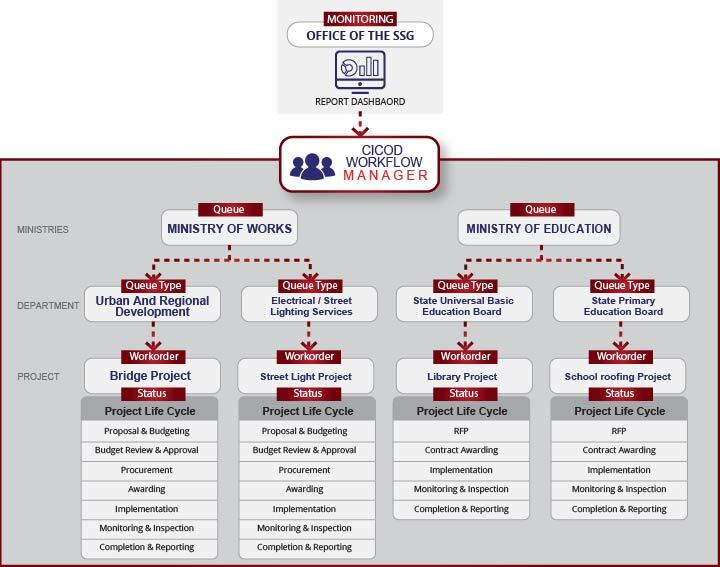 The CICOD 1.0 Workflow manager system can be adapted for full Complaint Lifecycle Management by providing a seamless mechanism for complaints lodging, issue tracking, escalations of unresolved issues based on Service Level Agreements (SLAs) and reporting on Key Performance Indicator (KPIs). This results is a far more efficient structure that enables the public sector organisations to effectively manage customer complaints. Delivery of a centralized monitoring platform: A unified platform for monitoring complaints management where all involved stakeholders have respective access rights to view and provide updates on work order statuses. Report submissions will be made across various channels i.e. Mobile App, USSD, Email, Call Center and Web into the platform for resolution. Improved efficiency & visibility: The application aggregates customer complaints from various sources, hence reducing time spent on going through the various platforms for complaint lodging and handling. It will reduce the time lost in sorting through bulky paperwork and emails. Provision of a real-time reports dashboard: An automated detailed reporting system will enable the measurement of compliance of the regulated institutions, real time. Most government regulatory agencies’ operations are manually executed. This results in loss of man hours and hinders the agencies’ ability to effectively and efficiently carry out their regulatory functions. The CICOD 1.0 fully integrated Business Support Systems will enable Business Process Automation for these government regulatory agencies. 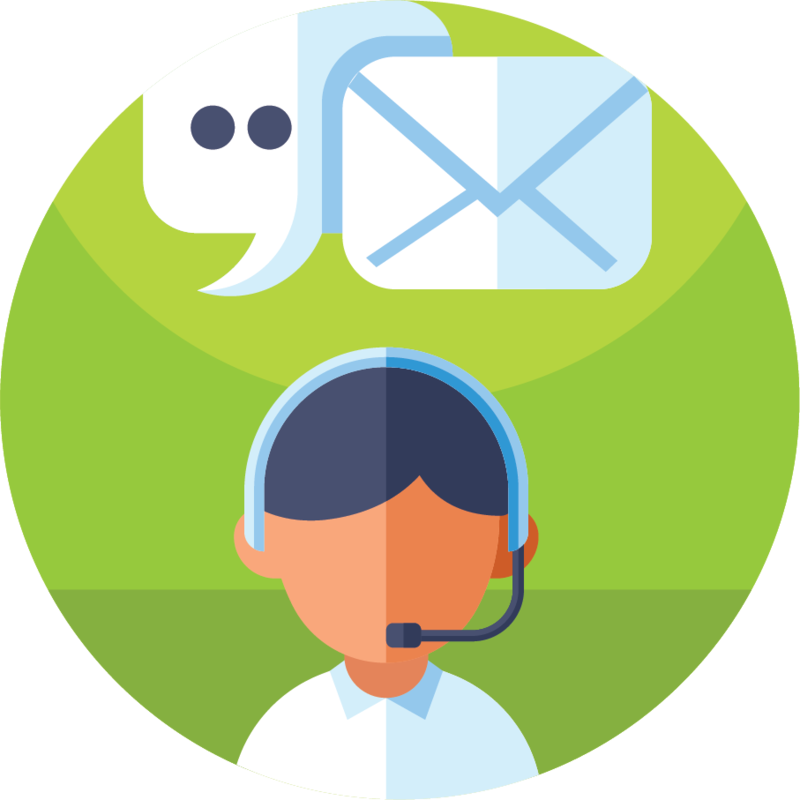 Our Business Support Systems are built to manage the end-to-end flow for all business processes. Crown Interactive has over the years aligned its technology roadmap with regulatory requirements across various sectors. Our solution is modelled and designed to follow global best practice in ensuring all the stages involved in efficient service delivery are covered. The CICOD Business support systems provides a multi-tenant seamless integrated platform automating and managing the business processes for all departments such that Workforce performance improves. This enables the identification and articulation of gaps in business processes so that revenue leakages can be plugged, hence implementing a preventive, instead of corrective, resolution of issues. The applications within the CICOD Business Support Systems (BSS) can be integrated to existing systems within an organization or operated independently to provide a platform for automating key business processes. This enables innovative control and management of content and data so that KPIs can easily be reported based on SLAs. Resources are notified on issues related to them and a business’ customers are updated on status changes. Only resources with rights to view specific information have access to that data.